Your Klout score, a number between one and 100 which is supposed to be "a representation of your overall social media influence" based on "more than 400 variables on multiple social networks beyond your number of followers and friends," is only slightly better at predicting your future success than a rousing game of MASH. ...as an educator teaching electronic marketing at the collegiate level I owe it to my students to introduce them to every and any concept that will help them land an internship or fulltime job. And here is an inescapable fact. Many firms are sizing up college student's Klout scores as a quantitative metric to use for job applicant screening. Therefore, I decided to create a class project in which the final grade earned is solely determined by a student's Klout score. But while some marketing managers might ask applicants about their Klout score to judge their awareness of new technologies and social media presence — and perhaps (and that's a big perhaps) factor the results in with way more important metrics like resumes and references — has anyone actually heard of a company that hires employees solely based on Klout? No, because that would be idiotic. Maybe we would take Klout more seriously if the company would explain how its algorithms work or how to use the service well. But it does not want to. 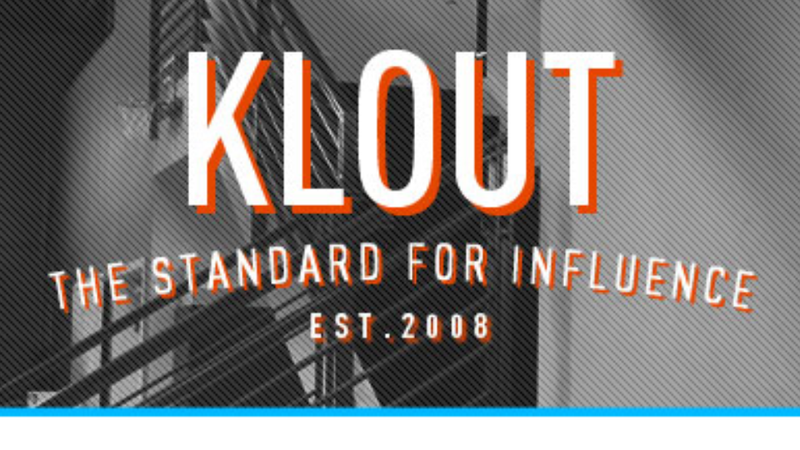 "We don't really give advice on how to increase your Klout score," Klout spokesman Lynn Fox told the U.S.News & World Report. "We define influence as the ability to drive action. We believe that if you are authentic and create high-quality content on a relatively frequent basis, your score will reflect that." That's probably why it was so easy for our friends at Gizmodo to turn staffer Kyle Wagner into an influential mom. Professor Bacile, as Regina George might say: stop trying to make Klout happen. It's not going to happen.